It’s time for my weekly “Meatless Monday” post! Last week was Victoria Day up here in Canada, so I didn’t have time to post. 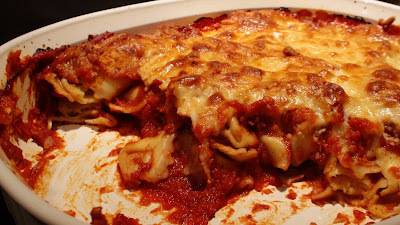 Today I wanted to make something tasty and filling, I went with a Martha Stewart “Baked Raviolli” recipe. I made a few adjustments and it tasted fantastic. This was my first time using tortellini, and it was fantastic. I will definitely be making this recipe more often. 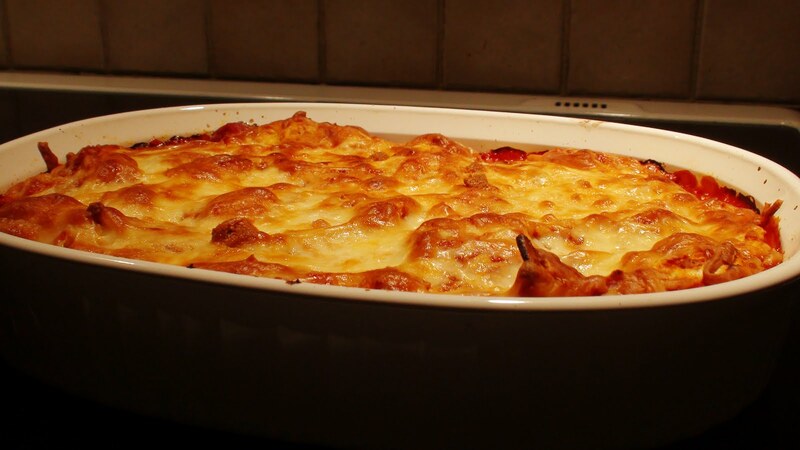 Just take a peek at the magic beneath the layer of melted cheese. Note: This will make a lot of sauce, I was able to freeze about a Tupperware full! Preheat the oven to 425 degrees. Soften onion, garlic, salt and pepper in the oil. Add in the thyme and crushed tomatoes. Bring to a boil, reduce heat, and simmer for 10 minutes. 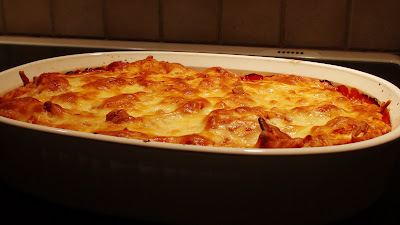 Poor the pasta and sauce into a large oven safe dish and cover with mozarella and Parmesan. Bake it in the oven for about 20 minutes. Make this now. It is the most delicious meal ever.